The Colca Valley, in Arequipa, received between January and October some 124,264 tourists, number that shows a 7% increase regarding the same period last year, sources from the Colca Autonomous Authority (Autocolca) have reported. Although the percentage of tourist increase is not the expected, the organization said that it is important considering that the global crisis and the influenza AH1N1 made some tourists give up their visits. Despite the global problems, Autocolca expects to close the 2009 with over 150.000 tourists, number that would surpass by 10% the number of tourists that visited the Colca Valley last year. According to some information provided by the organization, the tourists that visit the Colca Valley come from European countries such as Spain, France, Italy, England and Germany. While most of the Latin American visitors come from Argentina, Chile, Bolivia and Ecuador, among others. 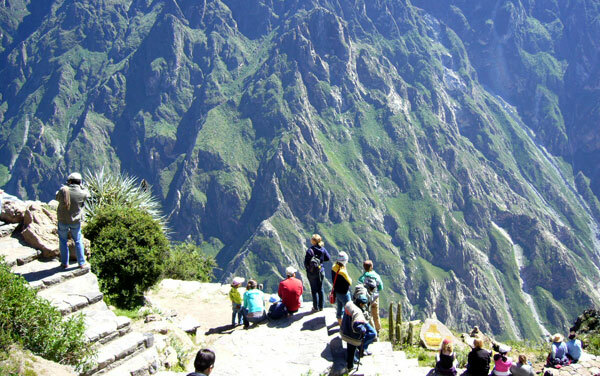 The Colca Valley is locate din the Caylloma province, 4 hours away from the city of Arequipa.